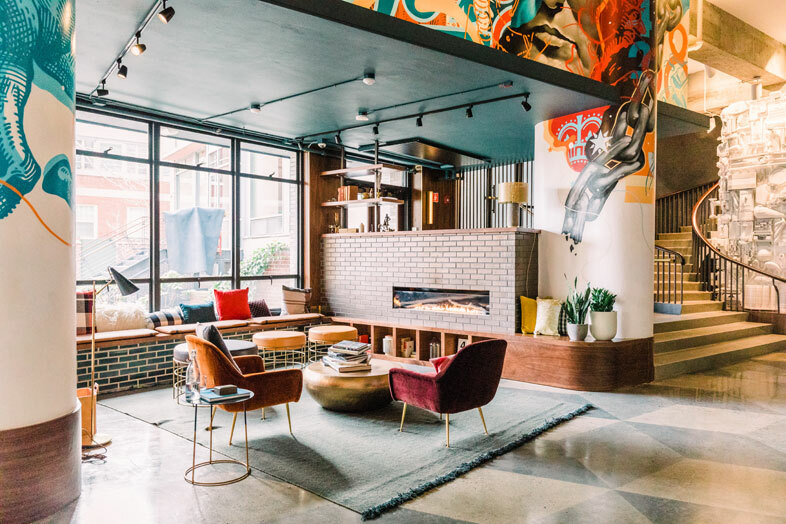 Situated in Boston’s historic South End and within walking distance to the city’s major tourist attractions, the Revolution Hotel offers an affordable alternative for the cost-conscious traveler. 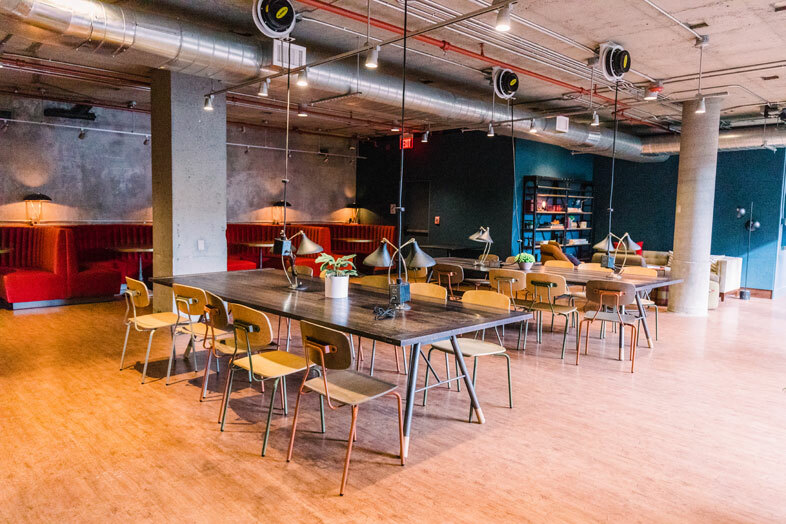 Kaplan Construction was hired in 2016 to convert the seven-story, former 40 Berkeley hostel and dormitory into an urban boutique hotel with amenity/common space for working and socializing. 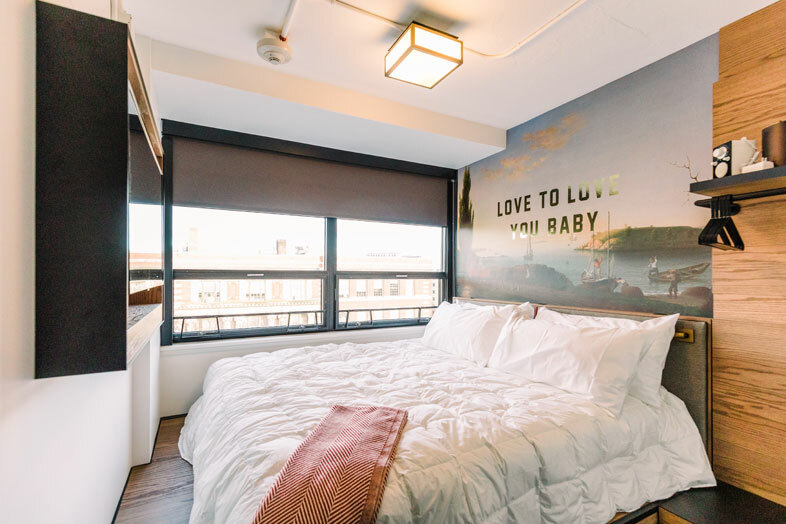 Designed by Prellwitz Chilinski Associates, the goal was to showcase Boston’s fabled history in a modern and eclectic atmosphere, and so a creative director, muralist, and local artists were employed to help execute the vision. In the first phase of construction, Kaplan improved the architecturally significant but aging space (it once housed the country’s first YWCA in the late 1800s) by modernizing and revitalizing bathrooms, HVAC systems, common areas, and lobby. Exterior work included a full roof replacement and improvements to the private courtyard. A new electrical service was brought in via the courtyard, and the existing courtyard wall was rebuilt. 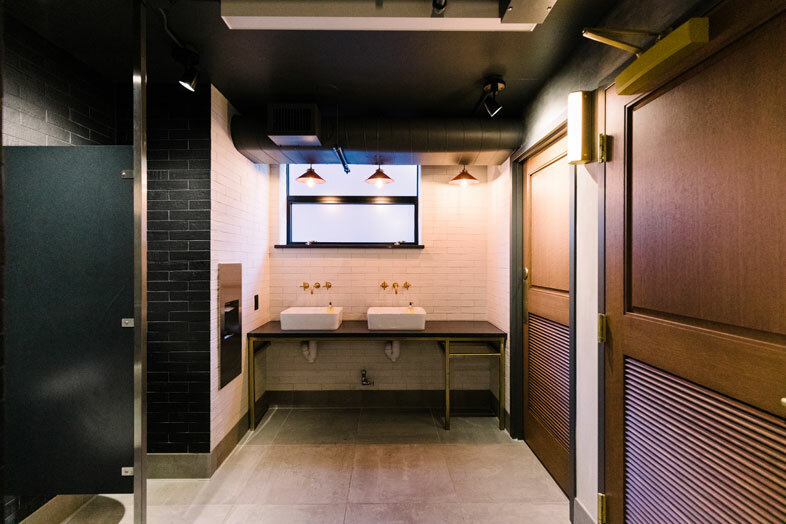 In the fall of 2017, Kaplan embarked on the second phase, focusing on the installation of electrical systems, ADA accessibility improvements, interior upgrades to the 163 hotel units, and new finishes throughout. The dramatic lobby received a custom polished concrete floor and hand-painted mural. The project was completed in December 2018.